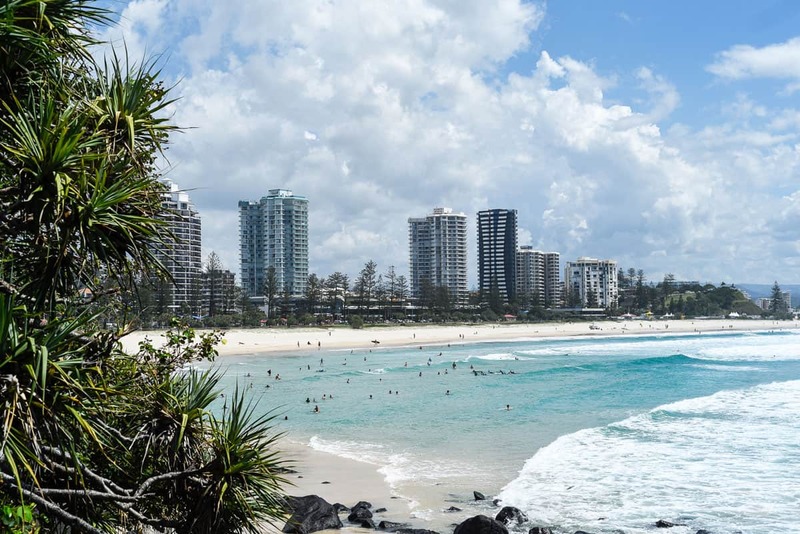 The Gold Coast has it all– sunshine, beaches, surf, great restaurants, nightlife, and no shortage of things to do. It’s no wonder holiday-makers near and far flock to the GC in search of all of the above. There’s almost an overwhelming amount of things to do on the Gold Coast, so we hit up our mates Sylvia and Tim for the lowdown on their favorite places to eat, drink, surf, shop, and play in the beautiful region they call home. 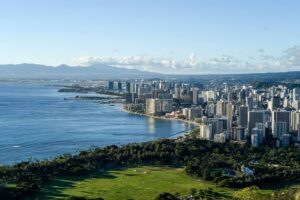 Anyhoo, these two also happen to have great taste, so without further ado, here are a few of the best places to grab a pint, a wave, and a swim-up pool bar. Take it away guys! 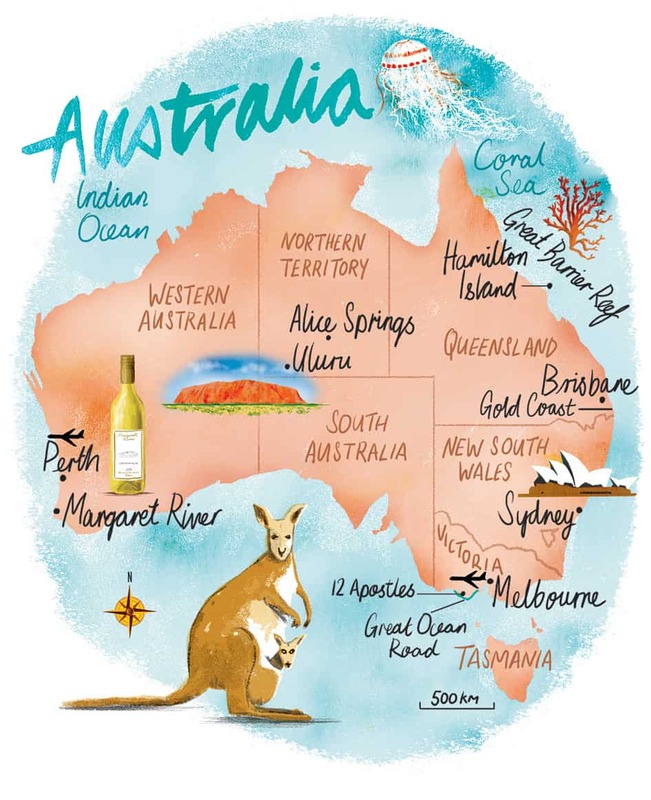 The Gold Coast, on Australia’s East Coast, is approx 1400sqm in size with its south bordering New South Wales and Queensland. It encompasses 81 suburbs and is known as being a tourist and surfers destination thanks to its consistently warm and sunny weather, turquoise blue waters, and proximity to other holiday destinations (such as Byron Bay in the south, Fraser Island and Brisbane to the north, and the awesome tropical hinterland in the west). 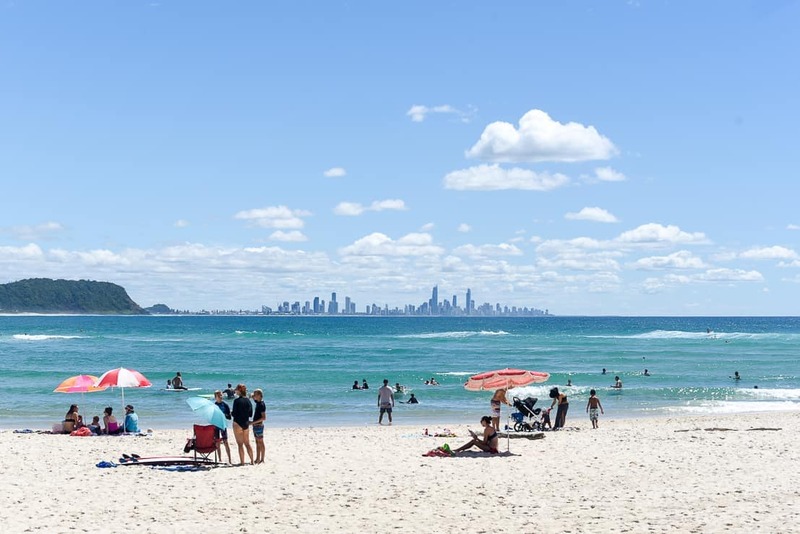 The Gold Coast has tended to fly under the radar as a regional city, but with so many Aussies being pushed out of the housing market in main cities such as Sydney and Melbourne, it’s slowly growing in popularity and job growth thanks to its affordability and laid back lifestyle. Warm, friendly, creative, relaxed, growing! The Gold Coast is famous for its surf and surfers. 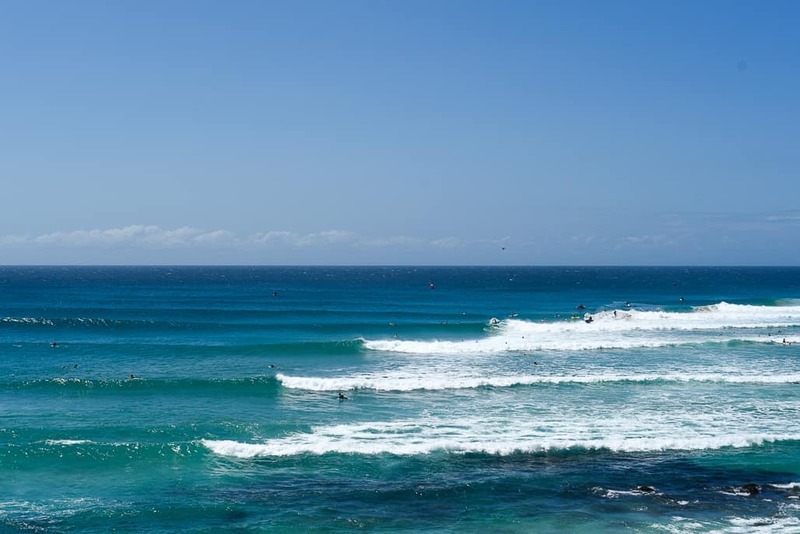 Here are our favourite waves on the Gold Coast. THE POINTS • Any of them! 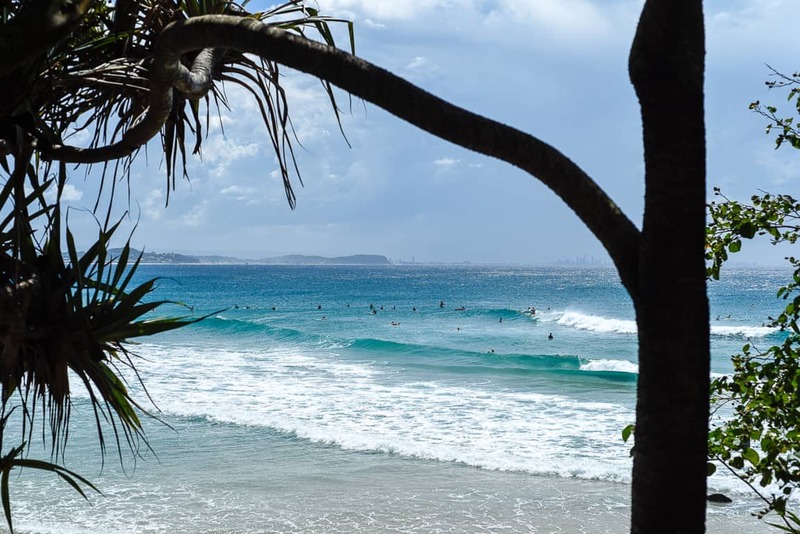 This includes snapper rocks through to Kirra, Currumbin Alley or Burleigh Heads. When there is enough swell and the wind is south, then you have to surf on the points. 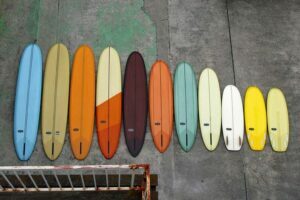 Each spot will differ with its sand formation on the day, but they are all waves that are quality, no matter where in the world you have been. My favourite currently is Currumbin Alley because it flies under the radar to Snapper Rocks and Burleigh. D BAH must be one of the most consistent beach breaks in the world. It always packs a punch and you always get some good waves. SOUTH STRADBROKE ISLAND is a great beach break that is just a short paddle over the spit seaway. Like D Bah, it packs a punch and always has great waves. THE COLLECTIVE is a new concept in Palm Beach which houses 5 different restaurants, plus a rooftop bar (and happens to be kid-friendly!). You can order from any of the restaurants, ranging from pizza and pasta to amazing Asian and Mexican dishes, whilst sipping on one of their delicious cocktails under the sun. JUSTIN LANE has the yummiest Italian fare in Burleigh Heads and also has a small roof top bar, incredible pizzas, and awesome vibrant service. This place buzzes on the weekend so we recommend booking! MOO MOO is the place to go when you’re after the best Wagyu steak this side of the border. It’s up in Broadbeach (part of Surfers Paradise), and is definitely for those looking for a bit more of a special night out (i.e. bring that black Amex). It’s worth it though – the salads and sides are worth the trip alone! O’SUSHI in Coolangatta is your classic sushi train go to. Simple and popular dishes, plus some extra tasty goodies like salads and aburi style fish meals. My fave is the salmon sashimi salad with their amazing house dressing. BALTER BREWERY • If you’re after some local beer in a place that doesn’t smell like cigarettes, has sticky carpets and wreaks of broken dreams, then head to Balter in the industrial section of Currumbin for some home brew. 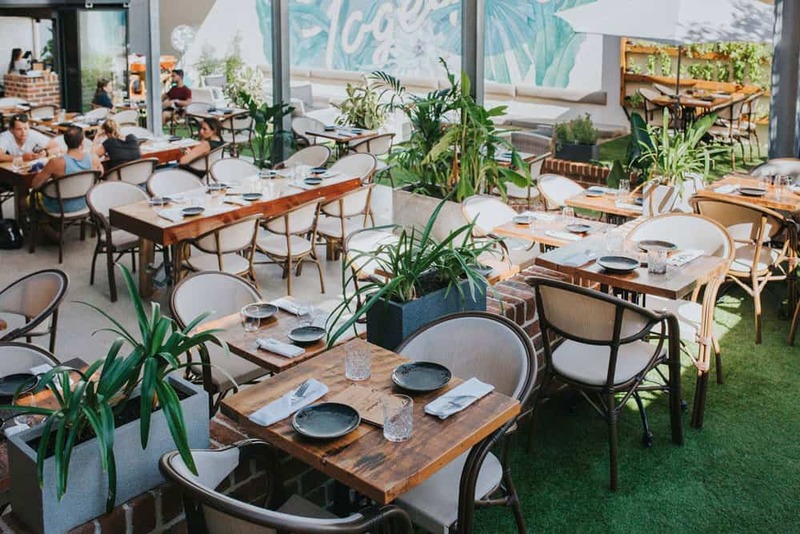 Started up by local surfing legends Mick Fanning, Joel Parkinson, Bede Durbidge and Josh Kerr, the brewery features food trucks on weekends for hungry punters, and they pour their beer starlight from the vats. Fun vibe, and definitely a top spot for crew catch ups. 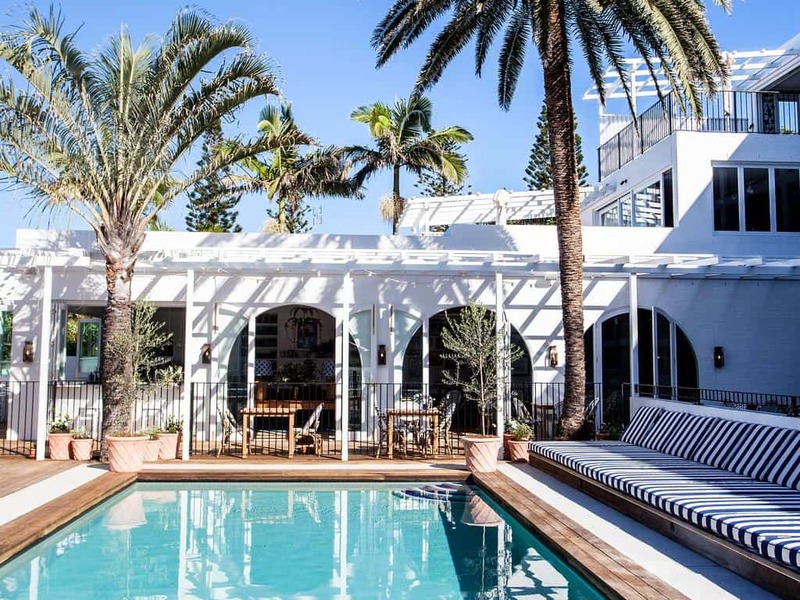 HALCYON HOUSE is located just south of the border in Cabarita – an old hotel which has been fully restored to be a slice of heaven in a relatively quiet part of the world. 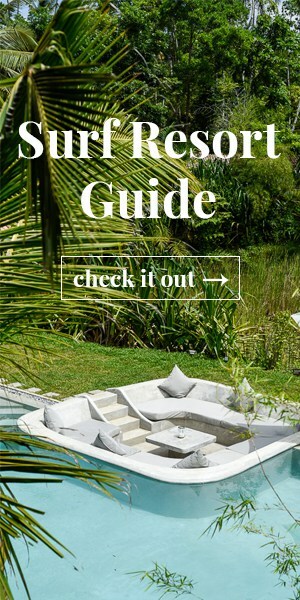 The decor is crazy good and is all centralized around the gorgeous hotel pool, whilst being a hop skip and a jump from the beach. An amazing restaurant and bar mean this place is one to book for a romantic getaway. NORTH STRADBROKE ISLAND (aka Straddie) for rustic beach camping, this is your place to go. 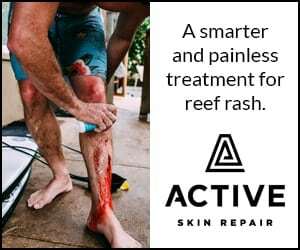 Hop on a ferry from Cleveland or Redland Bay and drive off at Dunwich. 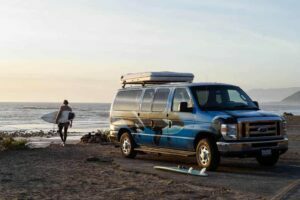 Head on up to anywhere between Amity Point and Cylinders and drive on the beach to find one of the awesome camp sites you can park at for however long you like. Make sure you have a good 4WD and buy a permit from one of the local providers. QT GOLD COAST • If you’re after a place with all the bells and whistles in the middle of all the action, QT Gold Coast will be your jam. Located in Surfers Paradise, it has its own lemonade stand, concierge staff that wear retro outfits and a (wait for it…) swim up pool bar. Sweet vintage vibes amongst the glitter and glam of the concrete jungle. SUNSET STROLL AROUND RAINBOW BAY by walking the coastal path from Coolangatta, around the Greenmount headland, and all the way past Snapper Rocks to Froggy’s. The views out to sea are absolutely gorgeous, the water is crystal clear and framed by all the yucca trees, and on clear days you can see all the way out to Surfers Paradise, which looks like a floating city. You can stop at the Rainbow Bay or Snapper surf clubs for a cheeky drink along the way and enjoy the view from up high. Watch out for the lizards and wildlife. MIAMI MARKETTA • On a Saturday night, hoof to it the Miami Marketta which hosts street food from 4 pm, awesome bars, a food hall dedicated to desserts (OH EM GEE), and heaps of bands every week. With festoon lighting and long shared tables, it’s a fun and vibrant place to go for a quick and cheap meal and some good entertainment with mates. TAKE A DRIVE TO THE HINTERLAND, which is pretty special here and I always love visiting it. My favourite spot is Protestors Falls, which is about an hours drive from Coolangatta. After a 1km walk through the most glorious and picturesque rainforest, you come to this looming waterfall. No swimming allowed due to the protected frog species here, but you can still walk all the way around to the cave behind the falls to take it in from another view. SURF! 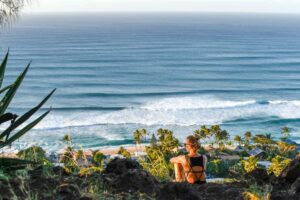 So many long and wide beaches and breaks mean there will be times where you can surf with barely another person in sight. Yes, it can get crowded when the surf is pumping and events are on, but sometimes you can paddle out and enjoy the serenity all to yourself. 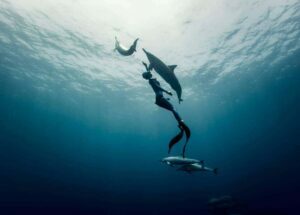 Say hi to the dolphins while you’re out there. 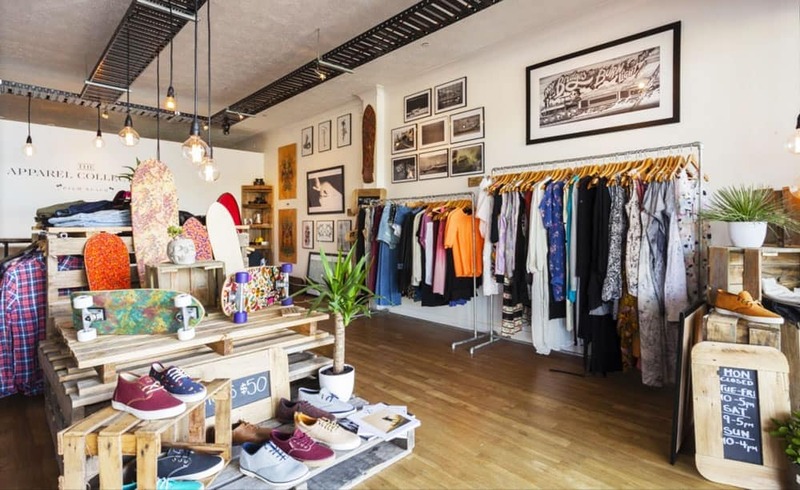 THE APPAREL COLLECTIVE • This one has the guys and girls covered – stocking brands such as Banks, TCSS, Thrills and Vans (and ahem, a little brand called MAYDE), and located in the hub of the thriving Palm Beach area, you’ll get your clothing and accessories fix here. GATHER is a gorgeous space in Currumbin that has homewares, fashion, and enough plants to fill a nursery. It’s in a gorgeous old warehouse space next door to Dust Temple (grab a coffee while you’re there!! ), and is definitely worth a visit. THE VILLAGE MARKETS operates every 1st and 3rd Sunday of the month at Burleigh Heads State School – with tons of awesome stalls and local brands, plus music and yummy food, you can do some shopping, grab a bite to eat, and then sit on the grass listening to the live music (whilst sipping on a fresh juice or chai tea). DWELL is homewares heaven, located at the Brickworks on Ferry Road in Southport. Dwell is a recent addition to Brickworks and has all those unique little brands and finds that you don’t usually come across. Heaven for gift buying. THE BORROWED NURSERY is just a cool space in Mermaid beach full of plants, but the vibe is awesome, there’s a small selection of homewares, and the space is set up for events and photo shoots. A great little coffee joint next door and just down the road from Broadbeach means it’s easy to get to and just hang out in. A huge thank you to Sylvia and Tim for sharing their favs in the Goldie! P.S. 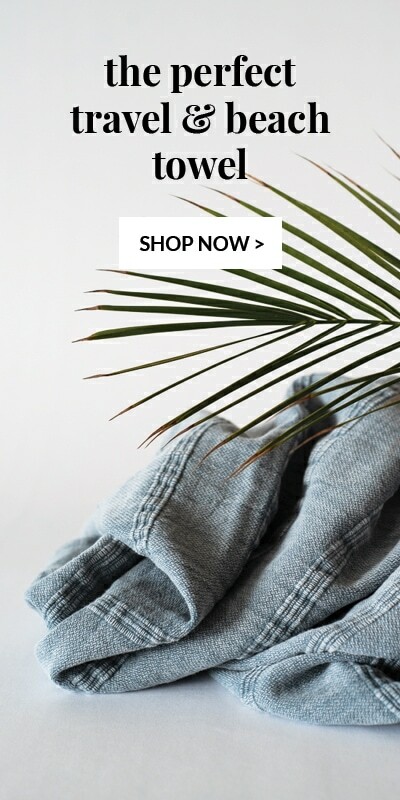 If you want some super fabulous Turkish towels in your life (and believe me, you do… I didn’t know what I was missing), check out our write up on MAYDE, or visit the MAYDE website directly to make your next beach day a stylish one.